social signal is the bet way to rank top in google.we provide you best social signal from different top class social media site.it will help you to get high rank. we provide you 4000+ strong social signal from top 4 social media sites. And Bonus Twitter ANd Fb Share Signal..
*** 24 hours customer support. Don't waste your time just order.. Thank you. 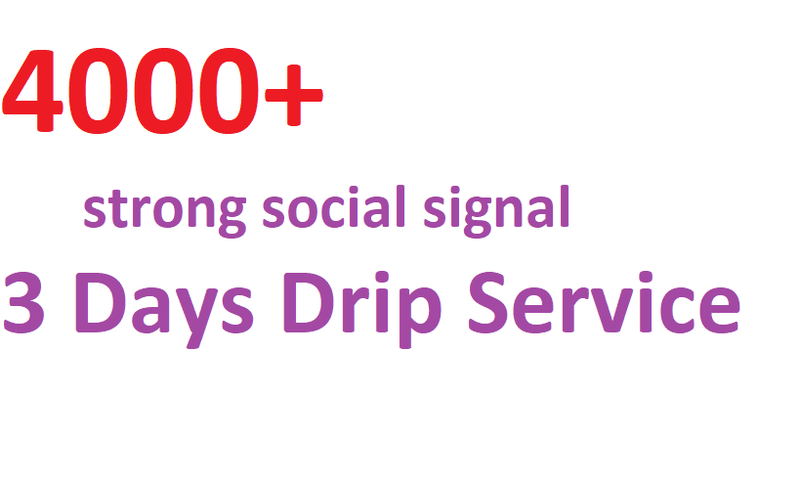 Boost your URl with Top class 4000+ Strong and Best social signal 3 Days Drip is ranked 5 out of 5. Based on 38 user reviews.